That looks fantastic!!!! Good luck with the moving process…. I hate that!!! Oh my Paula… I'm not going to be able to concentrate all day because of thinking about this. Pinned. Peanut butter bread…. and with chocolate sauce too! Sounds amazing! 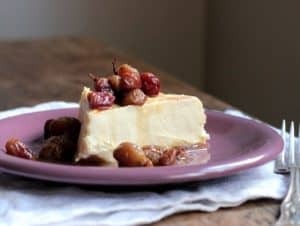 I don't make a lot of nutty things as my daughter is allergic to nuts but I could certainly scoff a couple of slices of this! I love buckwheat. This looks like a wonderful bread to try. Pinning it. Great SRC pick this month! Fantastic, Paula! Great way to start the week. 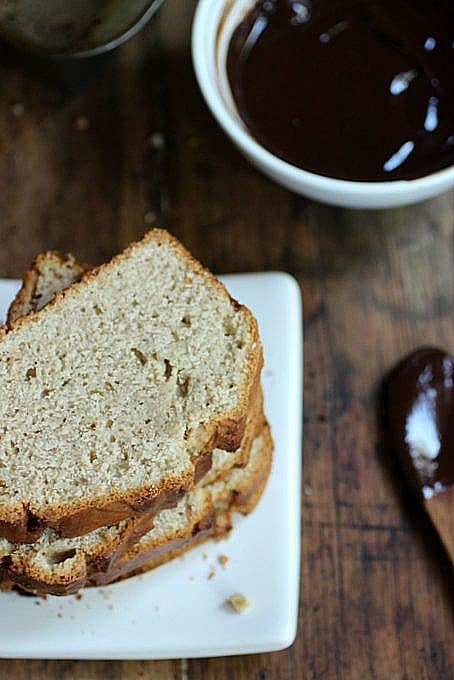 This is a quick bread that I would love a slice with my coffee right about now. Chocolate sauce over peanut butter bread, nice! Never thought I'd look at bread like it were dessert. 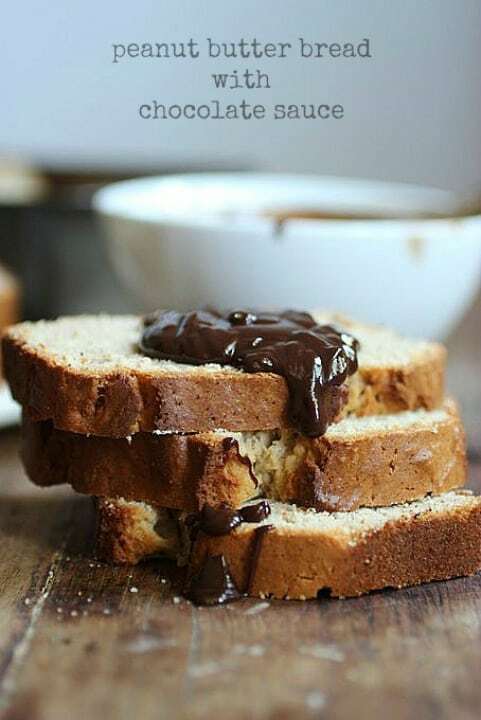 Peanut butter bread sounds too good to be true, and with that chocolate sauce! Pinning this to make as soon as the Thanksgiving madness is over. Yum, chocolate sauce! Add that to (almost) anything, and I'm sold! 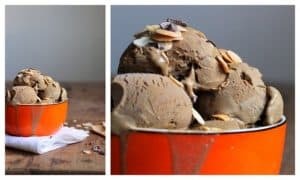 I love peanut butter and chocolate together – this looks absolutely incredible! Moving stinks! So much work. But it's usually worth it. Anyway, love the pictures and the recipe – really nice. Fun post – thanks. Chocolate and peanut butter, a perfect match for a sweet treat! Wishing you well with the move! 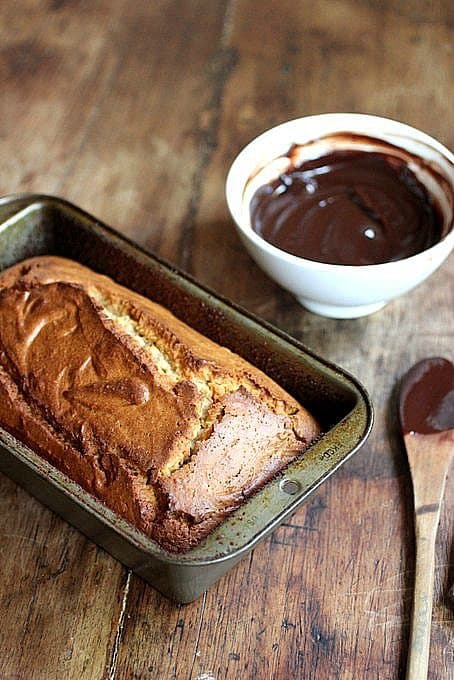 Beautiful loaf of bread, and the chocolate sauce is making me dream…….. Happy Reveal Day, and good luck with everything! Paula, I'm so in awe of you for still baking/blogging like a total boss during this crazy, whirlwind, hectic time of yours. How do you do it? Teach me your ways! It probably doesn't help that I'm super lazy. Sigh. At least I'm not too lazy to try and replicate the perfection that is your peanut butter bread. This looks ah-may-zing! Especially with that thick, dark, luscious chocolate sauce. Swoon! I'm doing what I can. My jobs allow some arrangement of hours, so I'm managing for now. I'm blogging much less than before though! Looks amazing! 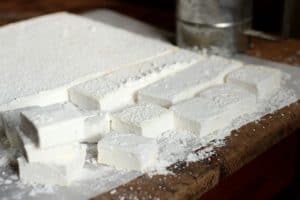 I've never used buckwheat flour before. Definitely need to give it a try. I think it will taste amazing with a chocolate hazelnut spread. YUMM!! 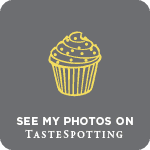 Beautiful photos – that recipe sounds amazing! Great choice this month! 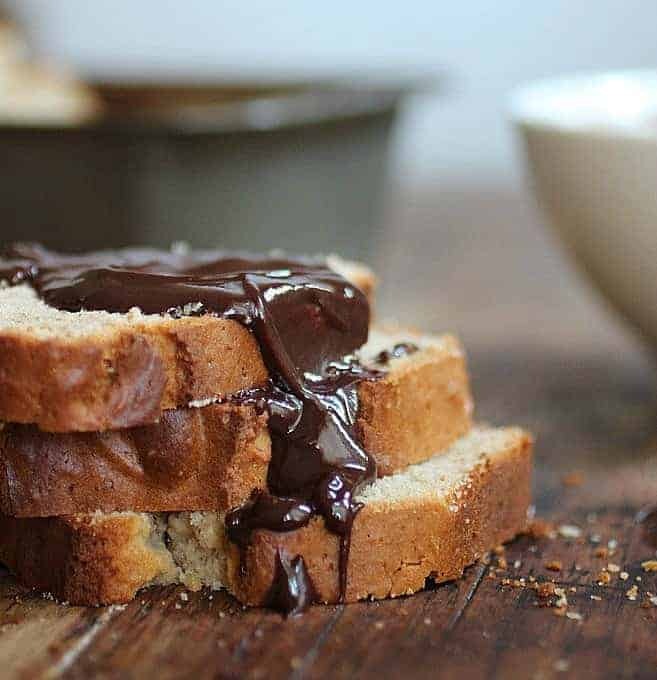 …you just poured chocolate sauce on this bread. That is amazing. how have I NOT heard of peanut butter bread?! 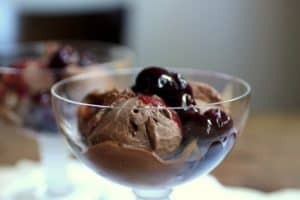 I'm going to try this with a chocolate swirl. congrats on selling the house! we've moved 7 times in the course of our marriage and we are done. 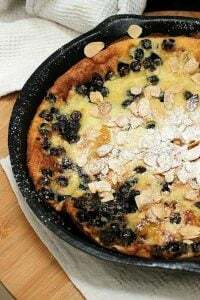 I love that you used buckwheat flour in this.